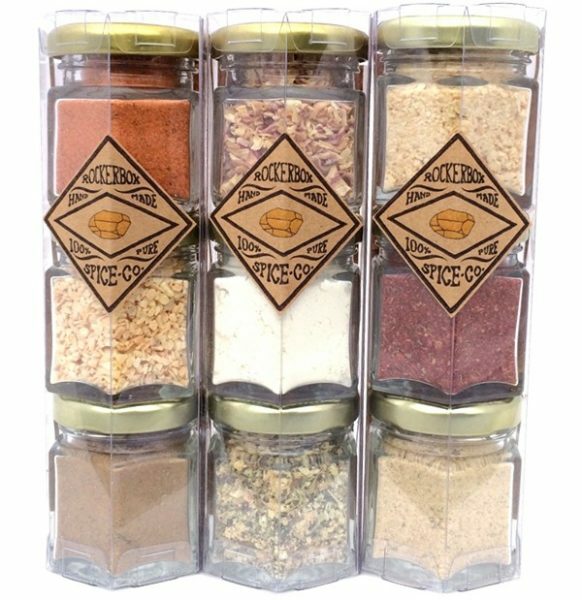 Rockerbox Spice Company: Garlic and More! 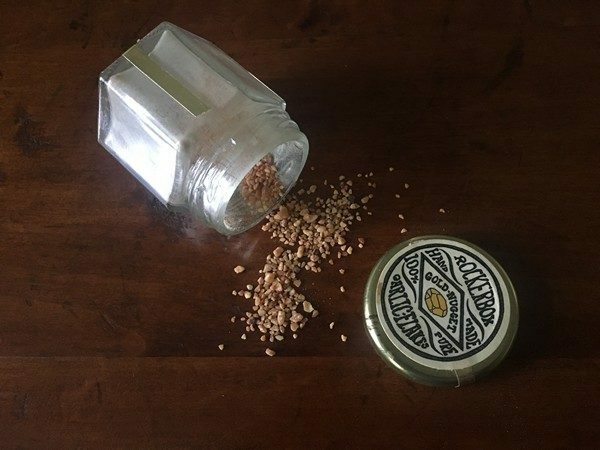 If you’ve been at a local foodie event, you’ve probably come across Raema Rotindo and her array of spices—Rockerbox Spice Company. Founded almost 6 years ago, Raema started experimenting with dehydrating garlic and running it through a food processor, making her own garlic powder. She quickly realized that her homemade garlic powder was much more intense and flavorful than the usual store-bought variety (which, can we all agree, is pretty awful). That’s because the jar you bought at the store a million years ago only contain about 60% actual garlic powder. She started making batches of it for friends and family and trading it at food swaps. People started clamoring for it, asking her if they could buy more. With the purchase of a bigger dehydrator and a large order from Brooklyn Kitchen, Rockerbox Spice Company sprang to life. One of the secrets to Rockerbox’s success is that it’s a pure product. All the chips and dusts are 100% product, giving you that great taste in just a pinch of powder. In the beginning you could find Raema peeling mountains of garlic and onions to make her powders. It was taking 100 pounds of onions and 4 days of dehydrating to make 10 pounds of onion powder—that’s a lot of onions to be peeling! Now, she’s graduated to a co-packer where she oversees the production process for her expanding product line. I’ve been using her garlic dust, garlic flakes and shallot flakes ever since I discovered her at a food festival. It was key to making the Magic Sriracha Sauce as delicious as it was! Now I’m looking forward to playing with her black garlic and roasted garlic dust. If you’re a fan of a classic French vinaigrette for your salads, you’ve probably diced up a half a shallot for a batch of dressing and let the other half die a slow death in your crisper drawer (sound familiar?). Keep her shallot flakes on hand et voilà, perfect vinaigrette! 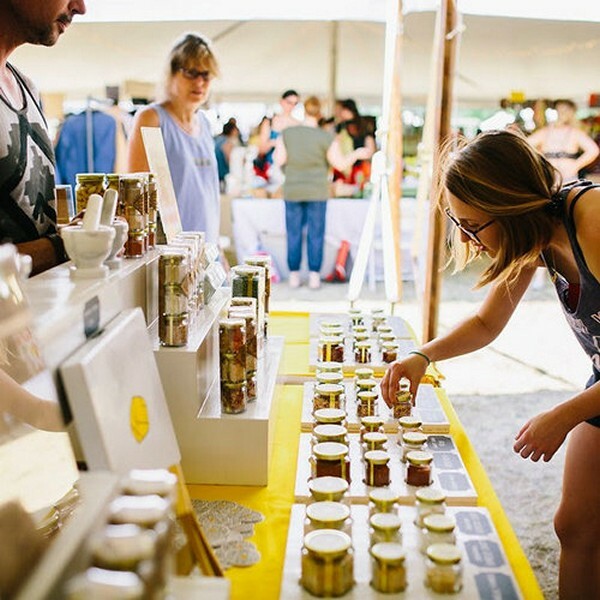 All her products come in two sizes, which gives you the chance to try different varieties and come back for bigger jars of your favorites. She’s expanded the product line to include things like tomato flakes and garlic-based spice blends like everything bagel spice and even a ranch mix, so you can make your own (better-tasting and better-for-you) ranch dressing. The whole line is available on her website, so go indulge and let us know in the comments what you used it in!